I love that decorating kids rooms is so fun these days. No longer is ‘child-size’ furniture and decor just fluffy ducks and cartoon characters. I’m putting together a nursery for my son at the moment and have three Pinterest boards on the go. I’m caught between a retro and modern style, thinking elements from one wouldn’t work with the other. Thankfully, Lilly and Lolly have the solution. We are lovers of Lilly and Lolly here at Babyology. 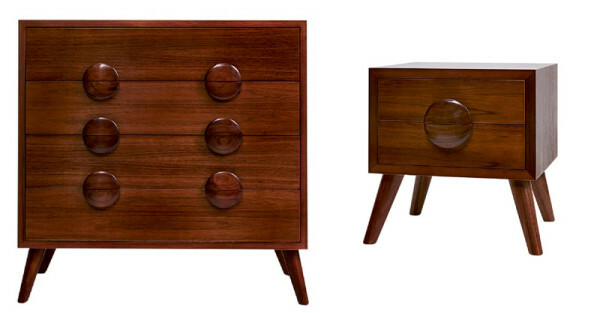 The new Charlie furniture range has brought a touch of retro back to the usually very modern Lilly and Lolly. This range is for both boys and girls and can be styled with modern decorator pieces like bold cushions and linen or vintage elements like prints and wallpaper. I’m coveting the half-moon shelves that look like they are floating on the wall. The shelves mount and can hold small plants, special toys or even a night light. 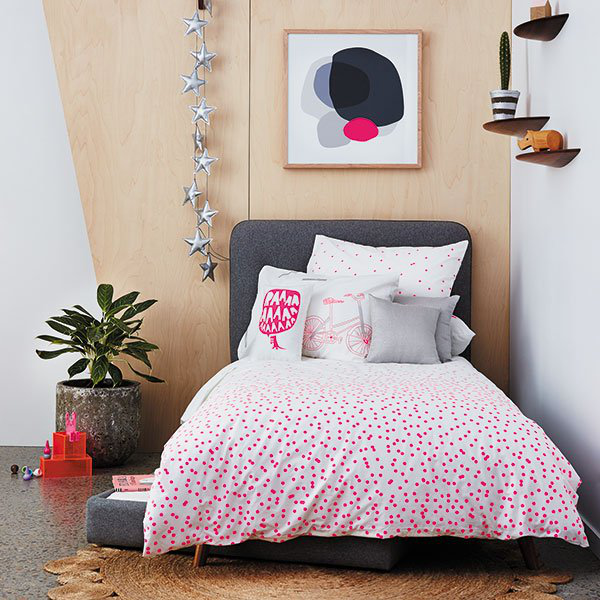 Lilly and Lolly was created for parents who want stylish furniture for their children’s rooms. The new Charlie range definitely fits the bill. The Charlie furniture range includes an upholstered bed in charcoal or mid-grey, chest of drawers, bedside table and shelves. The drawers are made from Tasmanian oak and the shelves from blackwood. You can get the Charlie upholstered bed for $1260 and chest of drawers for $1530 from Lilly and Lolly.